Have you ever had an issue starting your Fiat 500 or 500 Abarth? 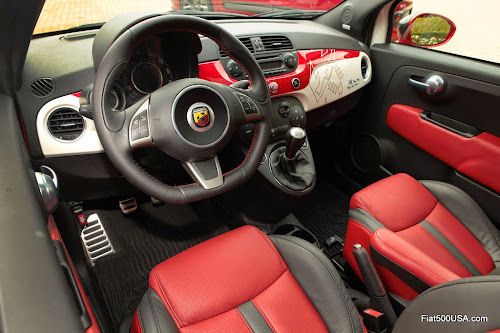 Fiat has just released a revised Technical Service Bulletin (Fiat TSB) that describes a software update fixing starting issues for owners of 2012 - 2013 Fiat 500 and 500 Abarth models. This revised TSB, number 18-007-14 REV. B dated October 18, 2014 supersedes TSB 18-007-14 REV. A dated August 14, 2014. 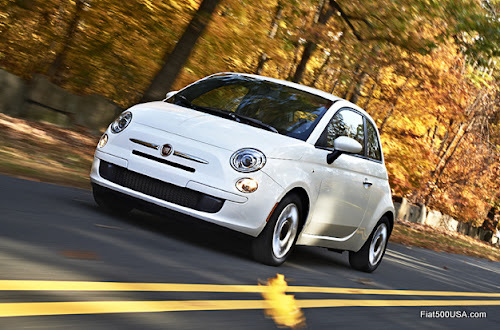 The fix involves reflashing the Fiat 500 Powertrain Control Module (PCM) with revised software. 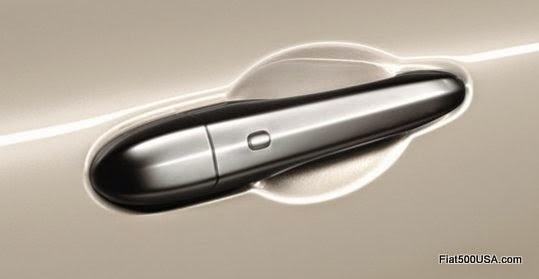 The reflash also enhances cold weather starting performance. The symptoms are an occasional cranking no start condition. 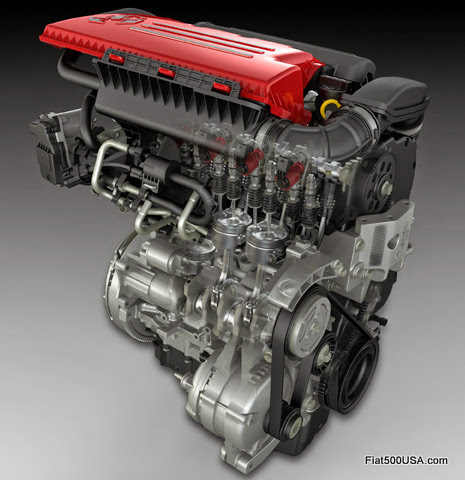 Fiat 500 owners may also experience an engine that sounds like it is freewheeling or has no compression. In most situations, this is normally resolved by simply trying to restart the car. Contact your Fiat Studio for more information. Refer them to Fiat Technical Service Bulletin 18-007-14 REV. B, dated October 18, 2014. Mopar will be unveiling two custom Fiats at this year's SEMA show. SEMA stands for the Specialty Equipment Market Association, and every year puts on an impressive trade show in Las Vegas highlighting the latest aftermarket and OEM parts and accessories. The two Mopar customized Fiats show what you can do with some imagination and the Mopar accessories catalog. If you are not familiar with Mopar, they are the service, parts and accessories division of Fiat Chrysler Automobiles. The 2014 SEMA show will be held November 4 - 11 at the Las Vegas Convention Center. 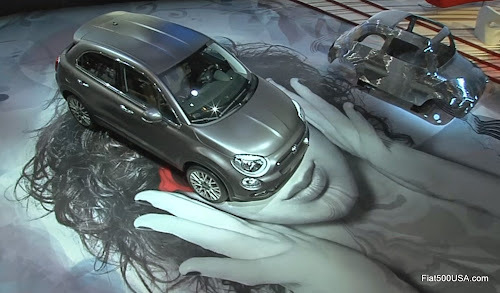 Below is a preview of the Fiat models that Mopar prepared for the show. Make sure you follow the links after the story to read more about Mopar and other custom Fiats. 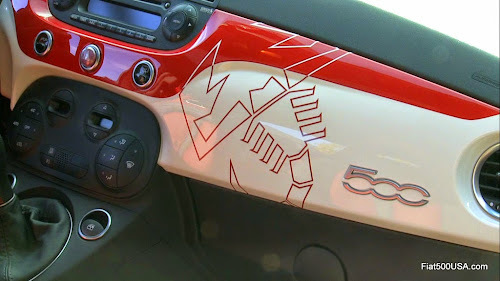 The Mopar customized 500 Abarth Scorpion sports a two-tone red over white color scheme, red accented fog light pockets and a huge Abarth scorpion logo on the front. 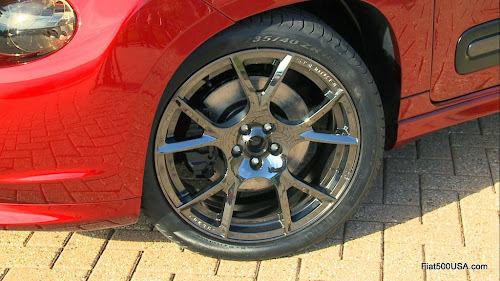 Black painted forged alloy wheels match up to blacked out headlights, running and tail lights and the Abarth's chrome trim has been changed to a satin finish. Carbon fiber mirror caps finish off the exterior. 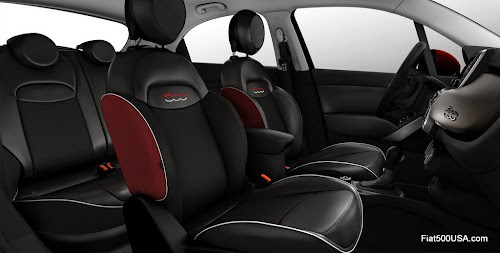 Notable is a new Mopar designed exhaust for the 500 Abarth and the premier of two-tone Katzkin leather seat upholstery, featuring accented stitching and trim. 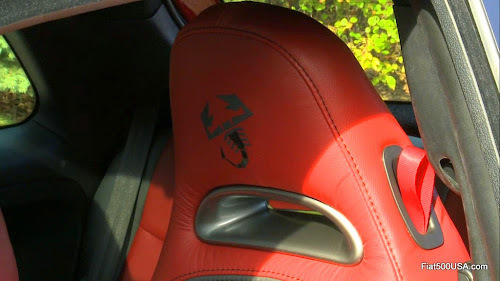 The Katzkin leather interior will be available through the Mopar Custom Shop in the near future. 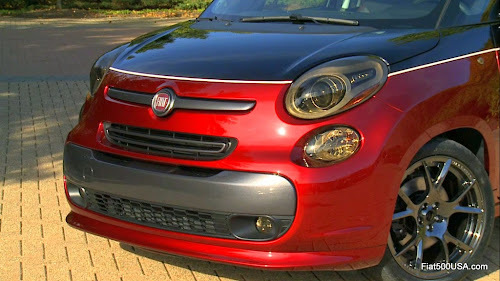 The Fiat 500L Custom by Mopar gets a two-tone dark red and black paint job that looks particularly classy when paired with the 500L's darkened exterior trim. 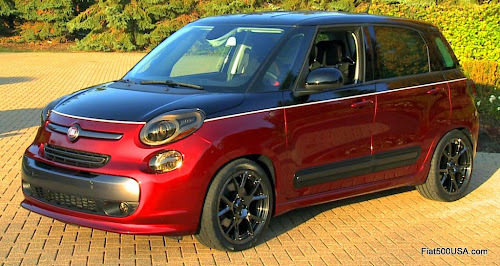 Featured on the 500L Custom are prototype Mopar designed 18 inch alloy wheels in black-chrome finish along with a front air-splitter that is also a prototype piece. 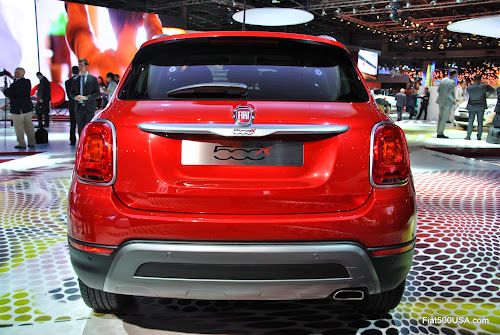 Mopar lowered the 500L and fitted their cat-back exhaust system. 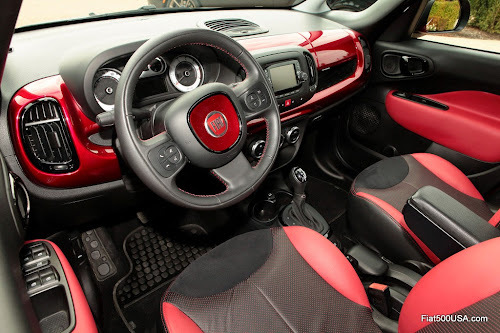 Inside the Fiat 500L Custom, the red and black exterior theme is continued and showcased with red leather and black Alcantara suede Katzkin seat covers. 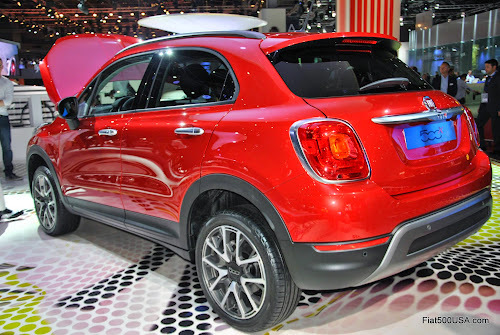 How would you like to get behind the scenes of the Fiat 500X reveal at the LA Auto Show next month? 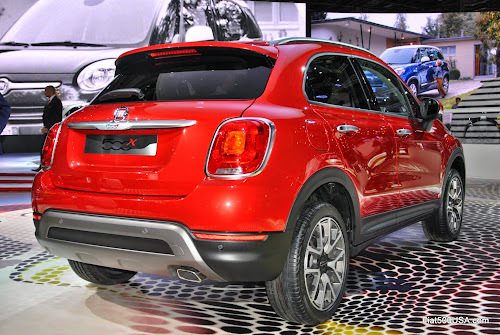 The Fiat 500X VIP Pass sweepstakes does just that. Three lucky grand prize winners will be flown to Los Angeles and given VIP access to the Fiat 500X vehicle reveal plus attend the exclusive Post Reveal After Party hosted by Rolling Stone. The prize includes hotel accommodations and $1,000 spending money! Round-trip airfare for you and a guest to and from L.A. 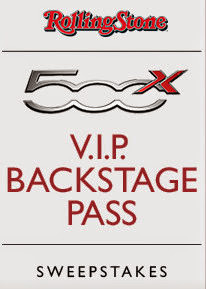 The Fiat 500X VIP Pass sweepstakes runs now until November 5, 2014, at 11:59 p.m. ET so make sure you get your entry in. 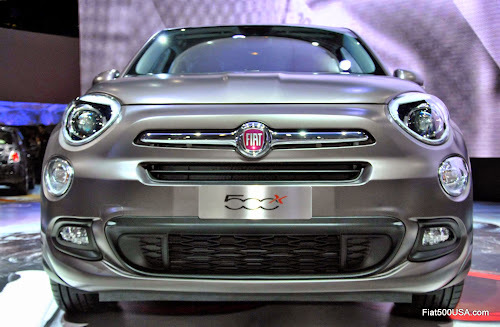 Don't miss this opportunity to see the Fiat 500X up close! 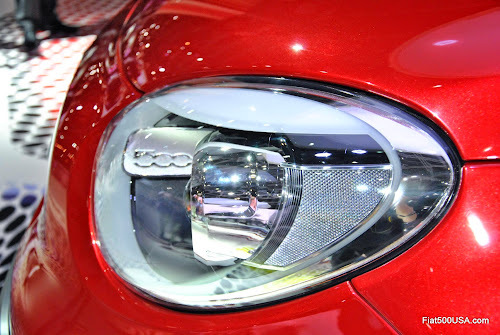 Discuss this story on the Fiat 500X USA Forum! 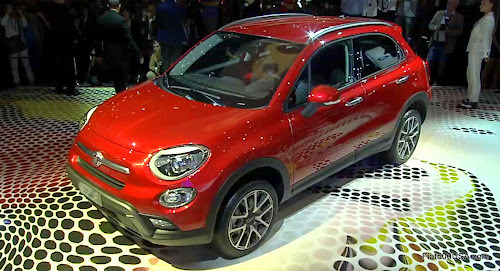 When the Fiat 500X hits showrooms in Europe early next year, it will be available in 12 colors, each designed to complement the shape of the 500X. Notable colors will be a matte bronze and a triple layer red and yellow. 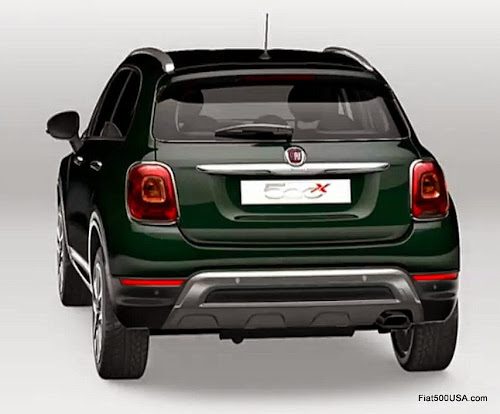 We have seen the Fiat 500X in red, white and bronze, but here are a few other colors that will be offered. These are screen shots, so the colors aren't 100 percent accurate representations, but they do give you an idea. 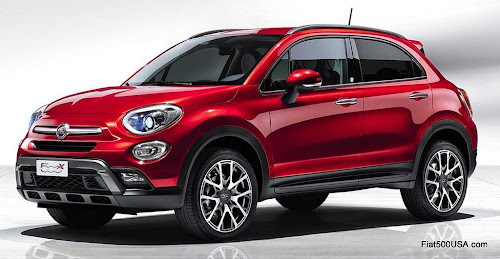 Between the 12 colors exterior colors, 8 different designs for the 16-, 17- and 18-inch alloy wheels and 7 interior configurations, the Fiat 500X may well be the most customizable car in its class. 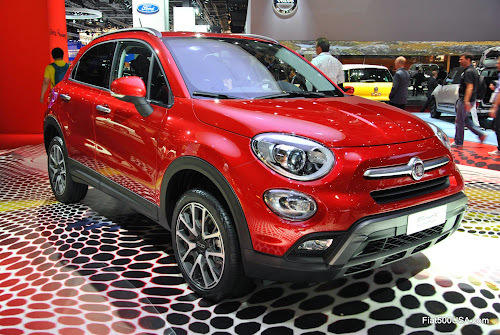 We'll see when the Fiat 500X arrives in America next year. 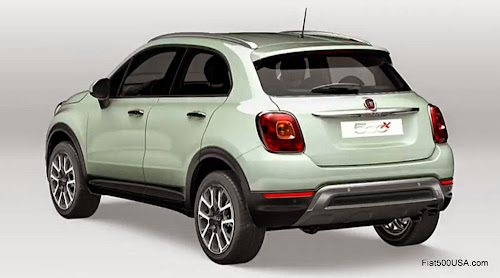 Discuss on the Fiat 500X USA Forum! 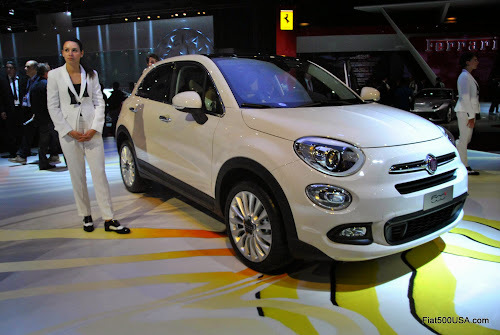 The Fiat 500X was unveiled earlier this month at the Paris Motor Show. Here are some images from the show for you to enjoy while we wait for the Fiat 500X to debut in the US next month at the LA Auto Show. 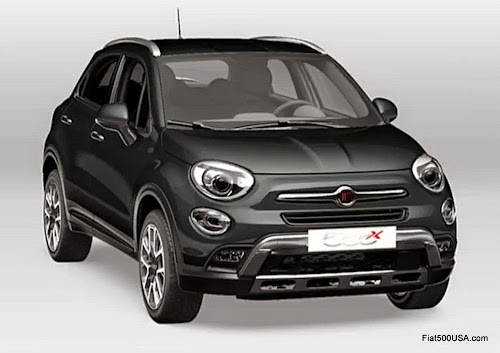 Make sure you follow the links below to learn all about the Fiat 500X and don't forget to stop by the forum and let us know what you think. Always wanted to visit Italy to see the home of Abarth but have no time to make the trip? 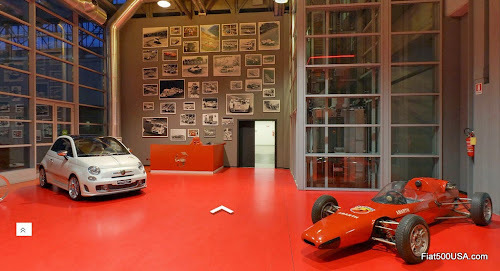 Now you can check out the Abarth Headquarters and workshop from your home with the Abarth Virtual Tour. 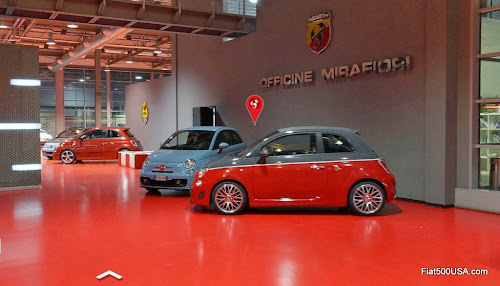 Abarth and the copy agency, xister teamed up to put together a tour using Google Street View technology that enables you to take a virtual walk around. Starting at the showroom and working your way down the hallways of the legendary tuner, you can experience where the cars and ideas come together. The tour also covers the workshop where the 695 Assetto Corse race cars are assembled and tuned. There are stop offs along the way that tell the story of Abarth and cover the new models and accessories. Make sure you explore the cars on the showroom floor and visit the wheel alignment area in the workshop for a unique under car view of an Abarth 695 Assetto Corse. 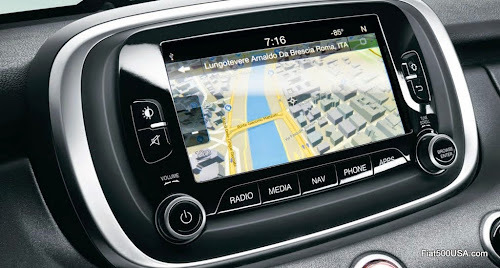 You can take the Abarth Virtual Tour by visiting the official Abarth site or by using Google Maps. 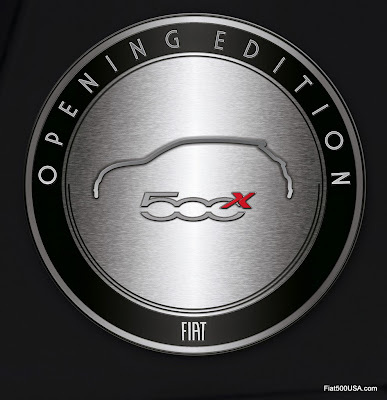 Fiat has announced it will produce a special version of the Fiat 500X for Europe called the 500X "Opening Edition." 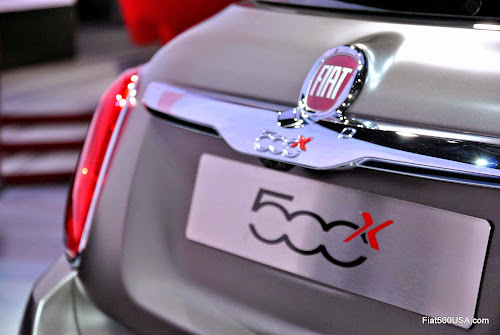 Production of the Fiat 500X "Opening Edition" will be limited to just 2,000 cars and will be available in five European countries - Italy, Germany, France, Spain and Switzerland. 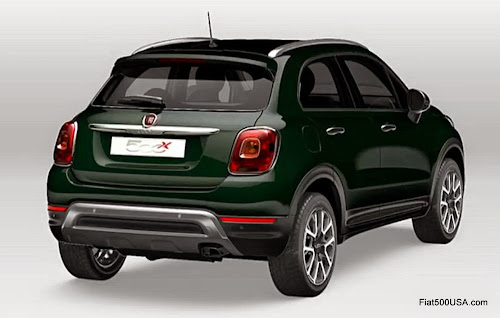 The 500X "Opening Edition" will come in two versions - one with two-wheel drive and geared towards the "urban sophisticate," the other with four-wheel drive aimed at outdoors use and recreation. 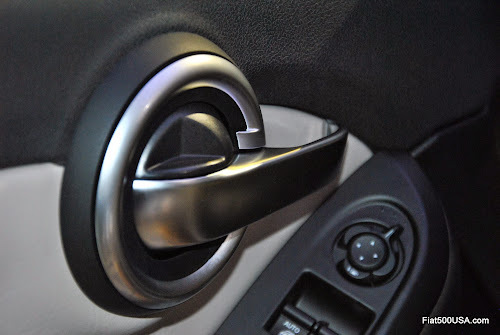 Fiat 500X Opening Edition urban version has soft-touch door panel inserts finished in carbon fiber look. 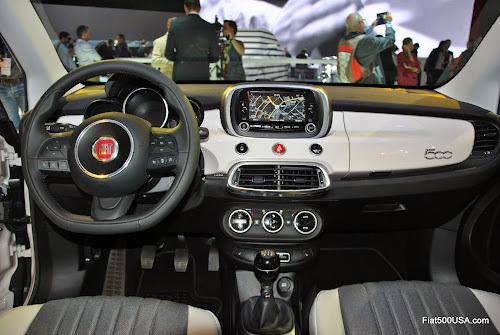 The recreational Fiat 500X Opening Edition interior features brushed aluminum finishes, a matte grey dashboard and black leather with red inserts. 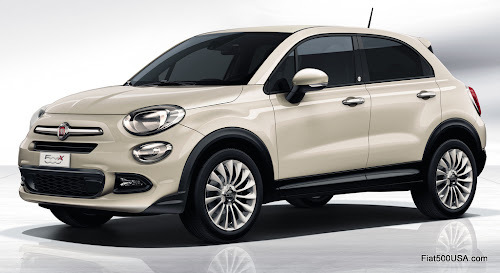 Prices for the Fiat 500X Opening Edition in Italy start at 21,900 Euros for the 140 HP 1.4 Turbo MultiAir II two-wheel drive version and tops out at 30,650 Euros for the four-wheel drive model. Pricing includes the Opening Edition's exclusive content discount. 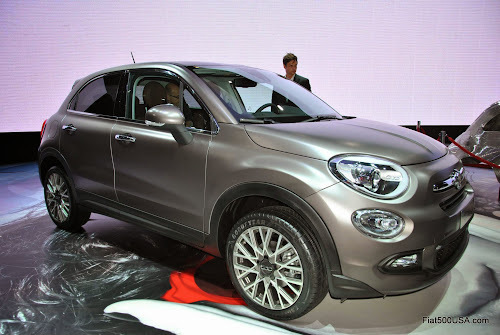 The Fiat 500X "Opening Edition" will be available in Europe at the beginning of 2015. 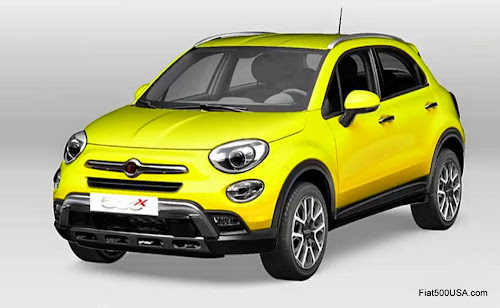 Go to the Fiat 500X website to reserve yours now before they are all gone! 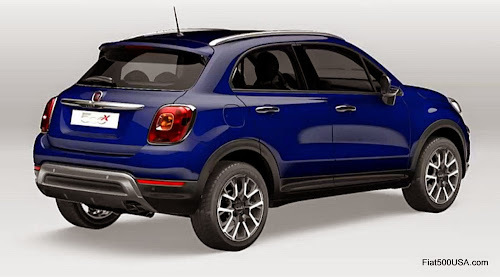 Discuss on the Fiat 500X Forum! 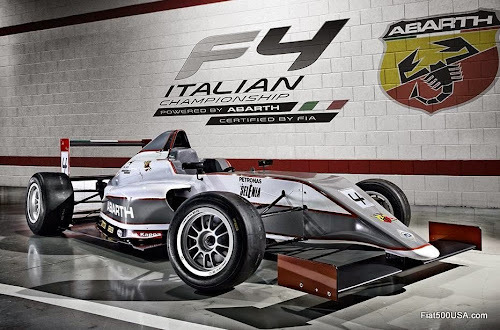 Abarth showed off its full range of cars at the 2014 Paris Motor Show, including the 595 Competizione, 695 Biposto and the Abarth powered F4 championship single-seat race car. 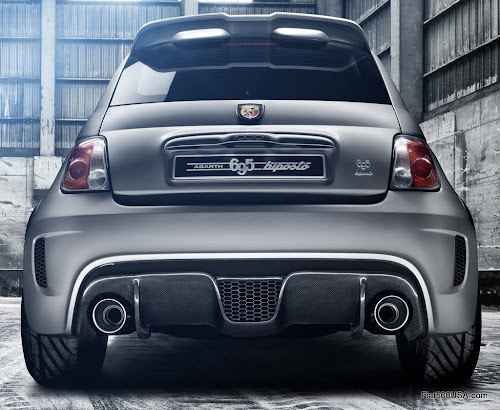 The flagship of the Abarth range is the 695 biposto and is said to be the 'fastest street-legal Abarth ever'. With 190 HP and a weight of just 2198 lbs (997 kg), it sports the best weight/power ratio in its category (11.6 lbs/HP or 5.2 kg/HP) and enables the car to accelerate from 0 to 100 km/h in 5.9 seconds. 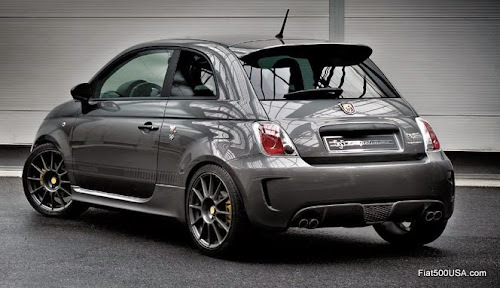 The Abarth 695 biposto price in Italy starts at 39,000 euros, and its entire 2014 production has been allocated. In the coming year, Abarth will have a heavy emphasis on customizations with tuning kits and an expanded range of accessories available through its dealer network. 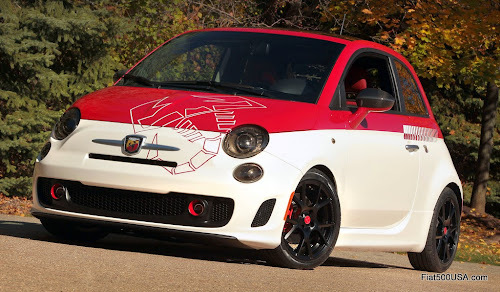 Starting with three trim levels ('Custom', 'Turismo' and 'Competizione'), two different transmissions options (manual or electrically actuated with shift paddles) and six paint colors, Abarth says there are 595 possible customizations combinations available for the Abarth 500. 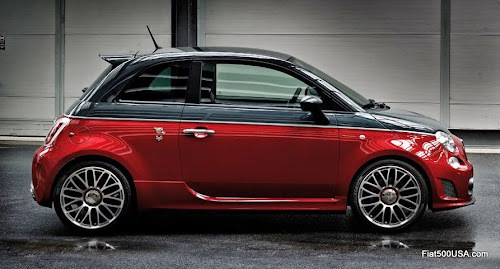 In Europe, the 2014 Abarth 500 will feature additional colors and combinations over last years 2013 models. 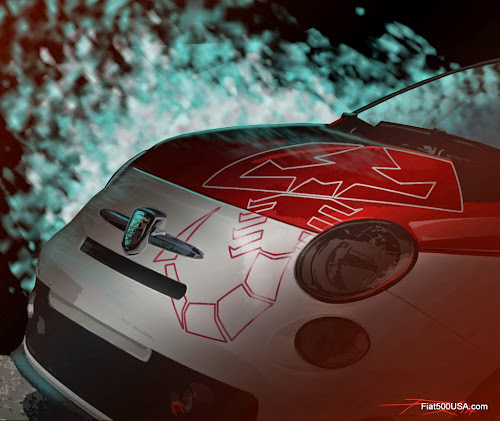 The Abarth 500 will be offered in Officina Red, Gara White, Campovolo Grey, Leggenda Light Blue and Beige Rally. Pista Grey is now available as a solid color, having previously been only part of two-tone combinations. For metallic colors, Record Grey and Scorpione Black is now joined with Trofeo Grey and Cordolo Red. There are several two-tone options: Pista Grey paired with Leggenda Light Blue, Beige Rally with Cordolo Red or Trofeo Grey. Cabrio models can be had in Beige Rally matched with a beige soft top. Abarth sales in EMEA (Europe, Middle East and Africa) for 2014 have reached 4,600 year-to-date, an increase of 23 percent compared to last year at this time. Abarth will expand its worldwide dealer network by opening 27 new showrooms in 2014. 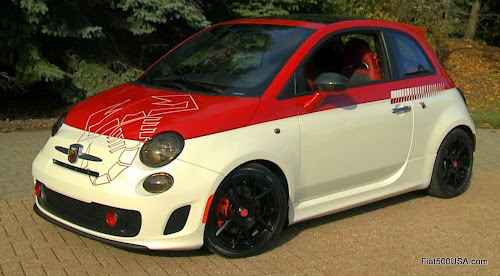 It should be noted that unlike in North America where the Abarth 500 is known as a Fiat 500 Abarth and sold through Fiat dealers, the Abarths sold in most of the world are marketed through exclusive Abarth retailers.